IBM have warned foreigners working at their Wrocław office to avoid certain places in the city centre on November 11th during the celebrations of Polish Independence Day, typically a day of xenophobic ‎and racist demonstrations. On November 11th on the streets of Wrocław a “patriots’ march” is going to take place, organised by the National Rebirth of Poland (Narodowe Odrodzenie Polski) for the sixth time. The manifestation will start in the evening. This year, the city council has received a notification according to which there might be up to 10 thousand people participating in the march. 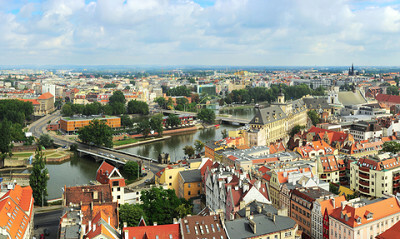 In view of the event, Wrocław branch of IBM have warned foreigners working for it not to appear in the vicinity of the route the demonstrators are taking. Previous marches which the National Rebirth of Poland organised were targeted at refugees and many insults, especially against Muslims, were heard. In an interview with Gazeta Wyborcza Agnieszka Koizumi, a spokeswoman for IBM Wrocław said that the company has informed its employees that the demonstration could be a racist one. We approached them with a request that at that time they looked after themselves and did not tarry in places where these groups gather. There are 3.5 thousand people from 63 countries working at the Wrocław IBM branch. We inform our foreign employees of such events, because for most of them the celebrations of November 11 in Poland are something new. 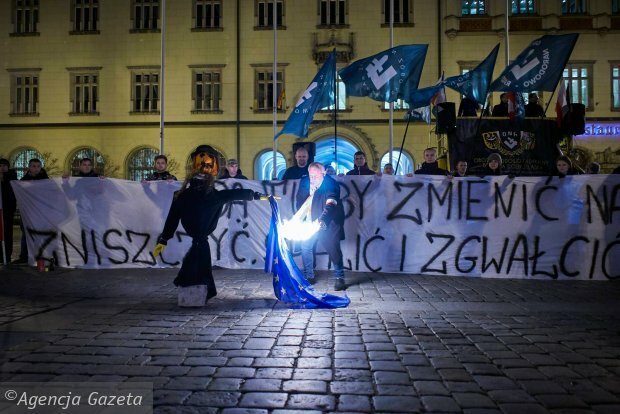 Not everyone is aware of what is happening on the streets of Wrocław. Many of them associate Independence Day with a cheerful event where you can have fun and dance, because that is how it is celebrated in their countries. They do not know that they may have trouble – Koizumi added. A year ago, on November 11, I stayed at home and worked remotely. You never know what can happen, the most dangerous is the centre of the city. A lot of people from Tunisia, Nigeria and Turkey work at IBM. I have recently contacted an Italian colleague. He said that perhaps he would leave for home for a week. He is afraid of being attacked. 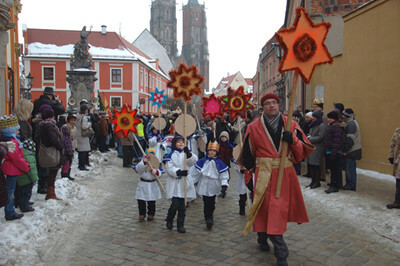 A similar march as the one in Wrocław will also be held in Warsaw. This year’s slogan is “Poland for Poles, Poles for Poland”. According to the president of the association “March of Independence” associated with the National Movement (Ruch Narodowy) Witold Tumanowicz, it concerns the problem which is “a flood of illegal immigrants who knock at the door of Europe”. Polish government decided to accept these immigrants. We believe that this is a bad direction – says Tumanowicz. In previous years during the demonstration the city was demolished, there were also cases of violence. Therefore, to oppose this aggression there will be another march on November 7th on the streets of the capital – an “anti-fascist” march. Participants will demonstrate under the slogan: Solidarity instead of nationalism.